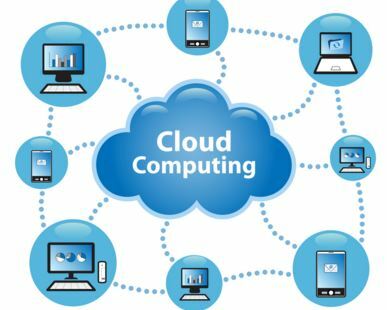 Advantages and Disadvantages of Cloud Computing – A great confusion surround the very concept of “cloud computing”. There are several definitions and attempts of definitions today. For some, cloud computing refers to the totality of the hosting services, for others, it is a matter of providing a remote infrastructure. Some even define cloud computing as a “Federation of application services on demand.” Interesting fact; While cloud computing still remains a concept to be precisely defined, we are already talking today about “Cloud 2”, which is supposed to be the new generation (social and mobile) of the cloud. In any case, one thing is certain; Cloud computing is not an actual offer, but rather an abstract notion. Or, as professionals like to conceive, an “other dimension of outsourcing”. Cloud computing is a concept that represents access to information and services, located on a remote server. To make it simpler, it is a form of outsourcing of the connected servers and services of a given company. In fact, it is generally a practice for a company to use its own infrastructure, intended for the lodging of its services. It, therefore, had to go through the traditional process of acquiring servers (becoming the property of the company), and that it supports the development and maintenance of systems indispensable to keep the servers running. In this context, cloud computing comes as a solution providing a remote architecture that is managed by a third party. The provider of this architecture ensures the operation and maintenance of the services that are accessible through a Web browser. In summary, it is a question of placing its data in the “Clouds”, at an unknown location of the customer concerned who will only care about the application part of this data, delegating the remainder to its supplier. The term cloud computing comes from the English language, but several equivalents exist in the language of Molière. For example, professionals would be talking about virtual computing, cloud computing, or even dematerialized computing. Cloud computing: A relevant decision? You alone are able to answer this question, insofar as this solution responds to a need that only the business manager is able to determine the need. That being said, in most cases, the implementation of cloud computing is proving to be a wise decision. The concept in effect saves loads that are usually quite substantial. Cloud computing is also one of the best forms of outsourcing skills that are parallel to the profession being exercised. As the supplier generally benefits from economies of scale, he then finds himself in a position to offer the same service for a, particularly advantageous rate. The supplier also has the means, in this case, to guarantee the development and maintenance of his service. So ultimately, cloud computing optimizes your efficiency and performance, increasing your productivity and reducing your costs. It should not be forgotten, however, that going through the provider of a “cloud computing” solution automatically implies the security and confidentiality issues of the data. Watch closely. Back, in detail, on the benefits and limitations of cloud computing. Cloud computing is generally associated with a multitude of advantages that create unanimity among the business professionals. Note however that these benefits remain theoretical, given the very nature of the concept. Data can be shared since any cloud computing user can easily make its data available to one or more cc users. So it is possible to create a collaborative virtual platform in record time. A particularly powerful calculation, which is probably the shocking argument for this type of solution. It must be borne in mind that the structures limited at this level (computing power) can here allow a relocation of their treatments, and thus benefit from all the resources and performance made available to them by the server of the cloud computing. Although it concerns only a fairly small number of companies, This advantage remains one of the most important of the CC. Free and open access to the client, which can establish its connection from anywhere and have access to its data immediately, without going through the establishment of a VPN (virtual private network) in the enterprise. Total freedom, since you are not bound to your supplier by any long-term commitment. Cloud computing services are either billed on demand or per monthly subscription. You are therefore free to put an end to this service at any time, if you feel that you do not need it anymore, or if you simply want to change supplier. Cost: Because the same service is offered to many users, its cost is significantly reduced. The controversial issue of confidentiality and security of your data remains the major limitation of this solution. The hosting of your data is indeed outside the company, in a basic service made available to you by your supplier. The risk of seeing your data end up in a situation of theft or misuse remains a possibility. Depending on the chosen supplier, your leeway may be limited by the nature of the proposed offer. For example, if you want to access some of the features of your choice, your provider might not be able to offer them. To check with your supplier, so.